It really does boggle the mind that it took Metro almost a month to fire the driver who hit a pedestrian in DC. 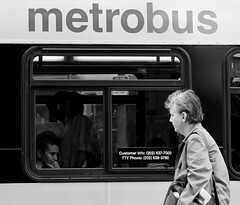 But, here we are, and Metro did the right thing 3 weeks after Carla Proctor struck Amanda Mahnke with her empty Metrobus. Why’d it take so long? No idea. But, in the meantime, GM John Catoe got a 3-year contract extension worth over $1M.